Home Furniture understands the importance of a digital presence. That’s why they began the search for an eCommerce platform that would be a foundation for growth. Their existing, non-integrated website solution was maintained manually. As a result, Home Furniture was finding accuracy issues between their stores and website. One challenge of their former website was that it did not have a connection back to their core retail platform, STORIS, and they could not keep pricing, inventory, and stock availability consistent. 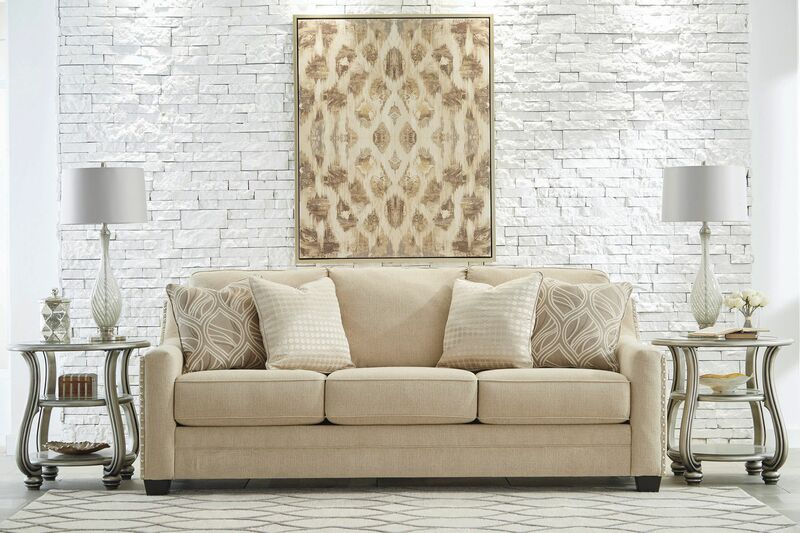 Though apprehensive to take a leap, Home Furniture knew they had to find an eCommerce solution that would allow them to achieve consistent success online as well as drive traffic to their brick and mortar stores. As confidence in their website fell and communication issues with their previous vendor arose, Home Furniture decided to turn to a “new” eCommerce provider; their trusted technology partner. STORIS presented project plans and a road map of future product development of the eSTORIS platform. Additionally, the network of retailers using both the STORIS and eSTORIS integrated platforms gave Home Furniture the confidence to move forward launching a new website. From the beginning stages of their new website project, the STORIS team brought many valuable ideas to the table. Home Furniture knew that the decision to move forward with the eSTORIS platform would position them to tackle the eCommerce side of their business correctly. The strategic guidance from digital experts at STORIS has supported Home Furniture in reaching their new website goals of increasing website traffic and ranking higher for their desired organic search terms. SEO trainings have effectively prepared Home Furniture to take control of optimizing their site and given them visibility into how their website is performing. This has helped Home Furniture to target their desired customer online and drive store traffic. Home Furniture knew that the professional services the STORIS team provides are just as important as the technology itself. Since the beginning of their site launch, Home Furniture has gained confidence from STORIS’ support. Their eSTORIS project manager jumps right in whenever they have a question. The responsiveness to problem solving has put Home Furniture at ease as they’ve tackled this new experience. Further, STORIS’ SEO consultant collaborates with their team on strategies to keep their site progressing along with Google’s evolving recommendations. STORIS’ SEO training enabled Home Furniture to gain quality organic traffic and position themselves in front of customers shopping online. The detailed reports reviewed in their monthly SEO meetings provide transparency into their digital marketing efforts. They have the visibility to see how customers are using their website and can make informed business decisions. Since implementing their eSTORIS website, Home Furniture has experienced 25% growth in organic traffic each month as well as 25% growth over the previous years’ traffic comparison. In addition, their Google rankings have improved. They now appear in the top 3 results in their local Google Map Pack rankings. Home Furniture also creates custom promotions and landing pages that correspond to in-store codes to help measure if the efforts of their website motivate in-store purchases. Having a centralized system helps Home Furniture with their Unified Commerce initiatives. Monitoring performance is key to maintaining growth. STORIS provides Home Furniture with business intelligence insights. They use STORIS’ Data Warehouse to analyze metrics impacted by both their stores and website. The flexibility of the eSTORIS platform has given Home Furniture the control to customize the look, feel, and functionality of their website to make it their own. The accessibility and integration capabilities allow Home Furniture to continually grow their online experience. Their goal is to always add useful features for their customers, such as product reviews and email communications. The ability to showcase interactive and video content is also an important aspect of their strategy to capture the customer’s eye and keep them engaged. eSTORIS has better connected Home Furniture’s internal departments. Their store teams always trusted STORIS, which helped them adopt the new eSTORIS website with excitement. Their sales team is empowered to use the website as a resource. Their initial concern of losing sales to digital diminished as the sales team learned to use integrated shopping carts to create a seamless experience and remove friction in the customer journey. When customers enter the store, the sales team creates a shopping cart. If a customer prefers to purchase after thinking over the decision, they no longer resist. Instead, the sales team showcases the ease of using the integrated cart for the consumer to finish their purchase from the comfort of their home, driving more sales and happier customers. Moving into the digital world is critical for retailers to keep up with industry trends. STORIS has given Home Furniture the confidence and competitive advantage to surpass their goals and create a seamless experience for their customers. With STORIS’ integrated platform, Home Furniture is excited to continue advancing their Unified Commerce strategy. Home Furniture was founded by George P. Fleming in Lake Charles, Louisiana in 1945. In 1972, Fleming’s store was passed down to his son, Ged Fleming. Home Furniture Plus Bedding has grown significantly since it was founded, expanding into eight locations along the Gulf Coast throughout Louisiana and Texas. Since the passing of Mr. Ged Fleming in April 2012, Home Furniture is now operated by his wife, Karol. In June 2006, Home Furniture added a 450,000 square foot furniture distribution center located in Lafayette, Louisiana. Almost every day, they unload 5-10 trucks of furniture into their warehouse and store the products on 10 linear miles of racks. As a STORIS partner for over 20 years, Home Furniture continues to grow and expand their technology platforms.